What are Apple Password Requirements? The Apple ID password requirements are password recovery rules you must follow when resetting or creating an Apple ID password in order to keep your account secure. The Apple Password requirements must be met for the safety and security of your Apple ID. Here are some of the Apple ID password requirements to maximize the security of your Apple accounts. 1. You must use a strong password for your Apple ID. The two password entries must be of the perfect match before you can proceed. You must use at least 8 characters that comprise of at least 1 number, 1 uppercase letter, and 1 lowercase letter. However, without the above proof of your identity, Apple will not let you reset the password or perform any action on your account. What to Do When Apple password requirements occur? 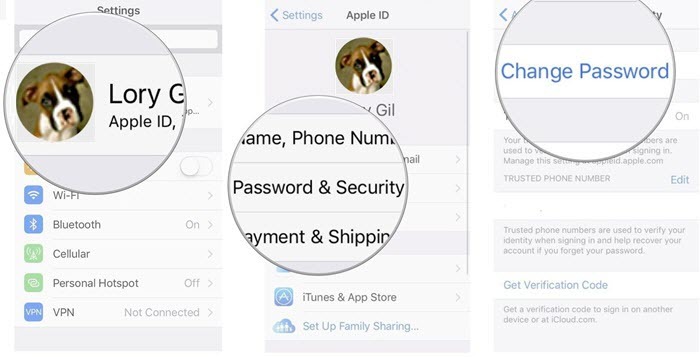 There are two instances when Apple ID requirement will occur; the first is when you know your Apple ID and password, and the other is when you can’t remember your Apple ID or password. The demand for Apple ID password requirements can still come up even when you know your password and want to reset your Apple ID password or iCloud account. 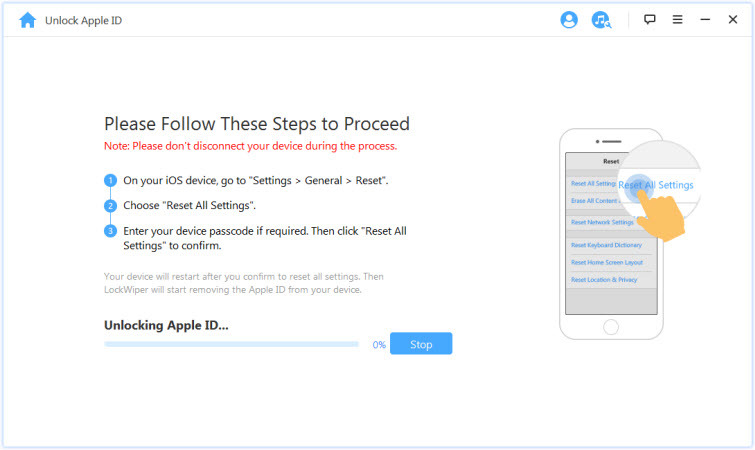 Here, we will explain with steps how to reset Apple ID password from a web browser, and from iOS device Settings. Step 1. Log on to https://appleid.apple.com on your computer’s web browser and log in with your Apple ID and password. If choose two-factor authentication or two-step verification, you may have to verify your login. Step 2. Scroll down to the “Security” section and click “Change Password”. Step 3. Enter your current password in the field provided, and enter your new password twice. The Apple password requirements will occur at this stage of the process, ensure you follow them as stated in the first past of this article. Step 4. Click “Change Password” tab to complete the process. Step 1. Launch your iPhone Settings app. Step 2. Click [Your Name] at the top of the screen. Step 4. Enter your iPhone passcode, and enter your new Apple ID password twice: One in the “New” text box and the other in the “Verify” text box. Ensure that the two password entries are perfectly matched before you proceed. Step 5. Click “Change” and choose whether to sign out from other devices that share this Apple ID. Apple Password Requirements are stricter when you cannot remember the password to your Apple ID. It is at that point that you will have to go through Email or Security Question verification, Two-Factor Authentication verification, or Two-Step Verification process. 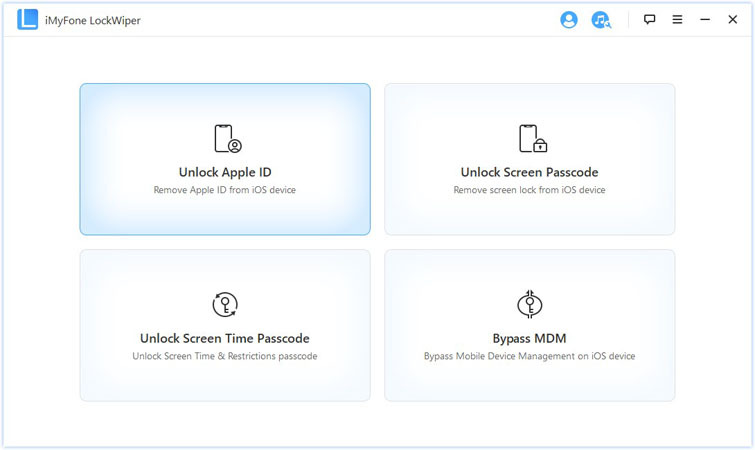 Nevertheless, you can easily bypass Apple password requirements by using a third-party software called iMyFone LockWiper. This tool is well known for removing iPhone locks, passcodes and passwords even from the latest models of iPhone using the latest version of iOS. Therefore, if you can’t remember your Apple ID password, answer to a security question or have lost access to other verification requirements, then use LockWiper to change your Apple ID without a password. Bypass Apple ID password requirements without any hitches. 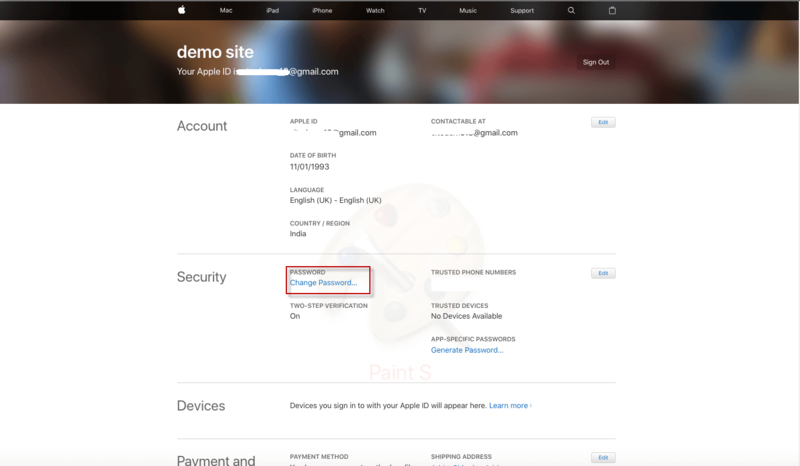 Remove Apple ID and iCloud account from iPhone without a password. 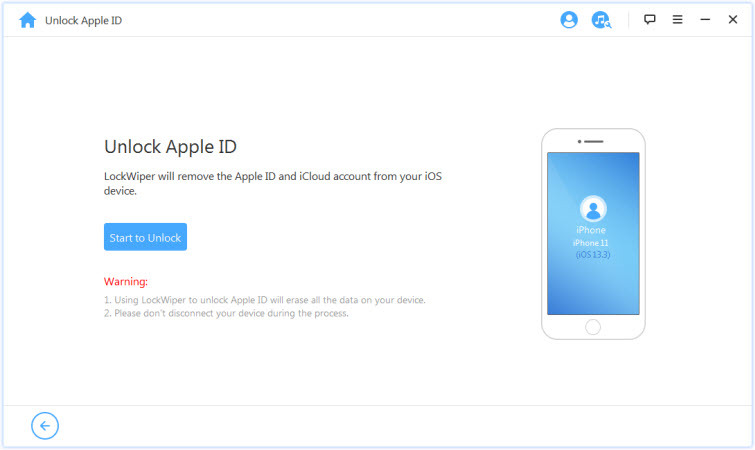 After using LockWiper to remove the iCloud account, you can now set up a new Apple ID on the device or you can add an existing one. Unlock any locked iOS device in less than 5 minutes without a password. Recommended and promoted by top IT firms, software authorities, and millions of iOS device users. Step 1. Download and install LockWiper from iMyFone Official Website. Connect your iPhone to your Mac or Windows PC, and launch the LockWiper. Step 2. Select the “Unlock Apple ID” tab. Step 3. Click the "Start to Unlock" button to remove Apple ID without a password. Note: If Find My iPhone is turned on in your device, it's necessary to click “Settings > General > Reset> Reset All Settings” before the software start to remove your old Apple ID. iMyFone LockWiper is the best solution to bypassing Apple password requirements, unlocking iPhone screen locks, and removing restrictions locks from iOS devices. Ensure to get a copy of this wonderful software.